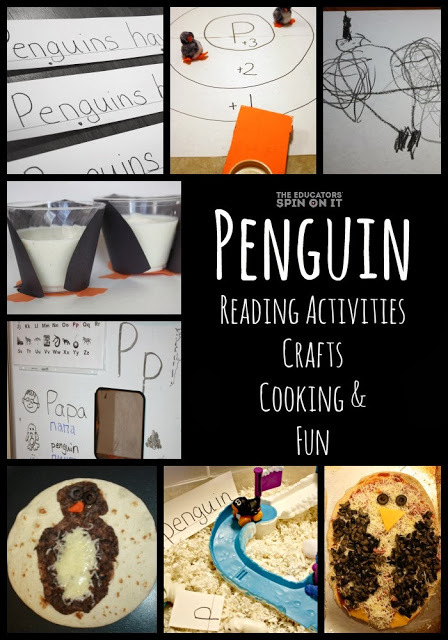 Penguin Cooking, Crafts, Reading Activities and FUN! One of my favorite preschool and kindergarten learning themes is PENGUINS. I am sure that you have figured this out by now. Penguins are so tiny and cute, and naturally playful. They are extremely diverse in their habitats and ways of life making them a great topic to explore science and social study topics. 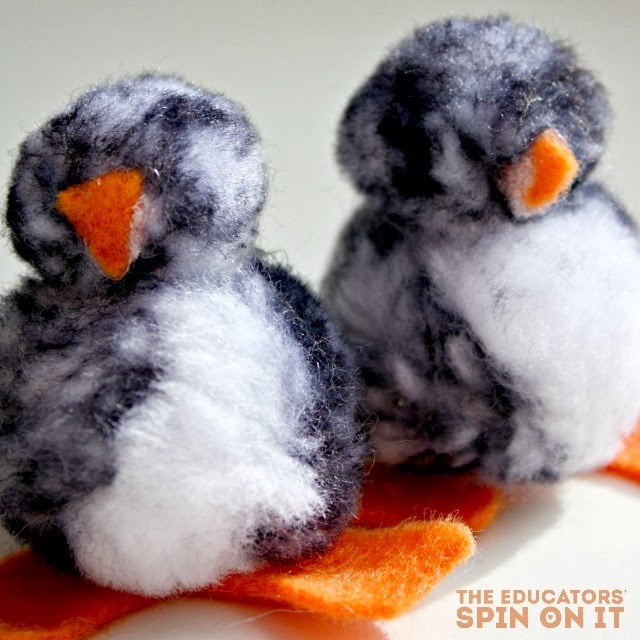 They are popular enough that you can find a variety of crafts to do with the supplies in your pantry and simple enough that kids can draw and create their own penguins. 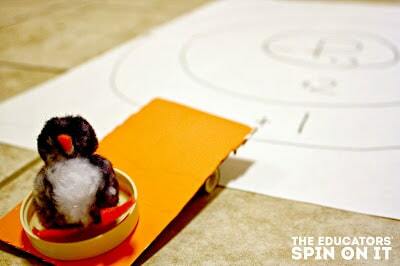 We are using the enthusiasm for penguin fun to get my son excited with penguin learning activities. My 4 year old needs a LOT of repetition to master academic topics and so we are trying in fun and exciting ways to get and keep him excited about letters, words, numbers, and counting. As a former elementary school teacher I keep in the back of my head that all kids learn at different ages and in different ways. Here are just a few activities for the week, the materials needed and the directions to do them at home with your child. Parent Tip: I love this activity because there are so many variations to this reading activity. You can make it harder or easier, change the topic and lesson focus, making this a great sibling activity as well. Here are eight suggestions for use – focusing on one or two ideas at a time. Practice oral dictation, meaning let your child tell you what sentences to write. This develops an understanding that the words we say can be represented with letters on the page. Write it exactly as they say. Use Echo reading; meaning you read, then they read. When they are comfortable reading the sentences (or have them memorized – which is OK at the age and I believe that this is early reading) have them read to another family member. Point to the words in the sentence as they are read, let your child do the same. Count how many words are in each sentence. Cut the sentence apart and practice building it. This activity was inspired by this catapult article on Mom and Kiddo. Mom sanity + fun learning activity = yes please! Load the penguin in the launch. We like to cook with our kids and make literacy connections as well. Our friend over at KC Adventures has a great list of penguin books. Stop by to see what they are reading! While our pizza was baking we snuggled in to read a bunch. Let your child add the sauce, sprinkle the toppings, and add the cheese. 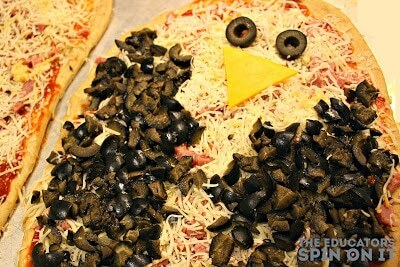 Decorate the penguin with olives and your cheese slice. If you are not in the mood for pizza – black beans on a tortilla make an easy kid-made burrito lunch too (see collage picture at the beginning of this article for inspiration! Penguin Cooking Activities and More! *Parenting a grade schooler? 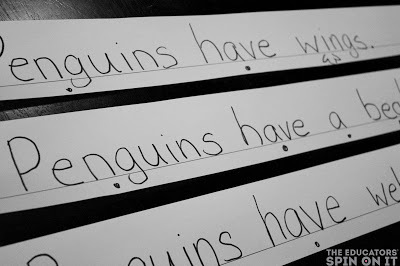 Here are some cute penguin writing prompts to print. PS – I’ve added a poll just for preschool parents and teachers on our sidebar (to the right)! Please vote for the themes you would like to see next! Voting closes 1/22/14. Penguins pizza, penguin soup… too cute! I love that you can even make penguins FLY…ooops I mean JUMP with the catapult…could be practice for Jumping into the water right? So true that all children learn at various rates and so important to continue to repeat concepts so they learn them in a fun way. Can't wait to see what the results are for the survey for upcoming themes.